With every financial donation given to our organization we are truly grateful for both the trust shown to us and the partnership created in advancing the protection of life, marriage & family and religious freedom. And we take our commitment to wise stewardship of our resources very seriously. This commitment is now shown in the Evangelical Council for Financial Accountability (ECFA) providing the PA Family Institute their seal of accreditation. “We are pleased to accredit a ministry committed to educate and encourage citizens, ministry and church leaders, elected officials, and others within the Commonwealth of Pennsylvania to promote the sanctity of life, strong families, the institution of marriage, and religious liberty,” said Dan Busby, ECFA president. 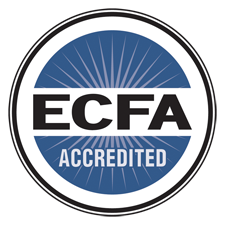 For the full ECFA press release announcing our accreditation, click here. To join in a partnership with PA Family Institute in full confidence your donation will go to strengthening Pennsylvania families, click here.